For longtime Scouting member Rebecca Cairns, the Scouting movement is more than just a program—it’s “a way of life”. 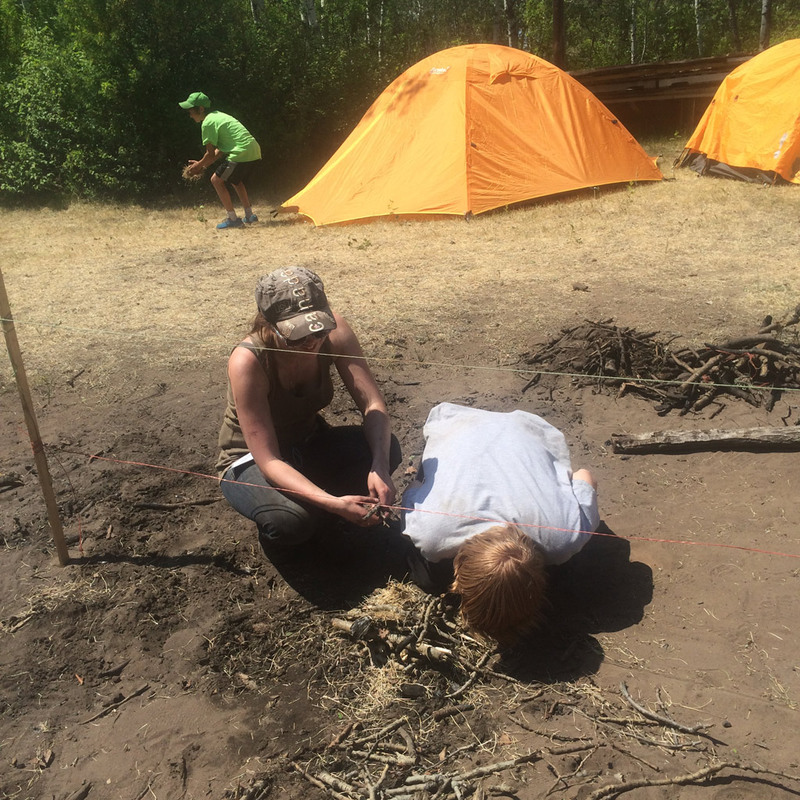 In her near-decade experience with Scouts Canada, Rebecca has developed a “deep connection” with her environment and community, and learned the importance of paying it forward through effective leadership. At the age of ten, Rebecca lit her first fire with the aid of a Cub Scouter, experiencing her first growth spurt in personal progression. “It boosted my self-esteem,” she remembers of the milestone. Rebecca’s confidence in her capabilities flourished through the years, and she went on to lead Beavers and assist with Cub leadership. Among the Scouting values that she has acquired, Rebecca emphasizes hard work, volunteerism, environmental stewardship and teamwork. “Scouting taught me a lot about discipline and not giving up. I’m pretty stubborn now. If there’s a task that needs to be finished, I will see it through. I think a lot of that came from Scouting—you commit and complete your goals,” she explains. Beyond the practical life skills that Scouting has helped Rebecca to develop, especially toward areas like university and working as an assistant museum curator, the program also enabled Rebecca to cultivate friendships and social connections. In turn, as a Scouter, Rebecca aims to pass on the knowledge and life lessons she accumulated in the program. Already she has noticed the social benefits of Scouting on younger members. “I’ve seen firsthand how shy kids in Scouting change to become more outgoing and confident—more likely to help in the community,” she observes. In creating an inclusive, supportive and challenging environment, Scouting encourages youth to become the best and most considerate version of themselves so that they will continue to pay it forward in the community over time. Reflecting on her years in Scouting, Rebecca acknowledges the extensive influence her Scouters had on her development. “I thank Scouters for my experience. I owe them so much for helping me to grow as a person.” In particular, Rebecca credits Scouters Shelly Schultz and her mother, Susanne Cairns, for their dedicated approach to Scouting leadership. “They’re definitely the people I want to be,” Rebecca shares, “They have shaped so much of who I am, and I owe everything to both of them.” After years in Scouting with her mother, Rebecca feels that their similar interests have maintained a close dynamic within their relationship. Currently completing her first year in university with a Scouts Canada Scholarship, Rebecca’s main focus will be her studies; however, she looks forward to finding another Scouting Group to mentor once she adjusts to her new life in academics. In the meantime, Rebecca continues to volunteer with her Group back home when she visits.